A basic wall installation with noise reduction in mind. Acoustical sealant prevents sound from traveling through gaps in materials and sound rated insulation helps to prevent sound from passing through walls. Green Glue is an excellent option for soundproofing walls. Apply a layer of Green Glue between two layers of drywall to significantly reduce sound propagation through walls. Acoustical sealant adds a finishing touch to the project. 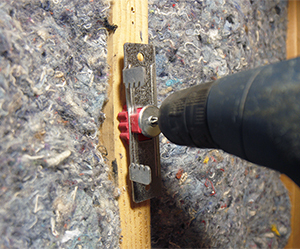 For superior soundproofing, add two layers of Green Glue between three layers of drywall. Green Glue dissipates sound into heat through molecular viscoelasticity. 5/8" drywall adds more mass than 1/2" drywall, providing more soundproofing. 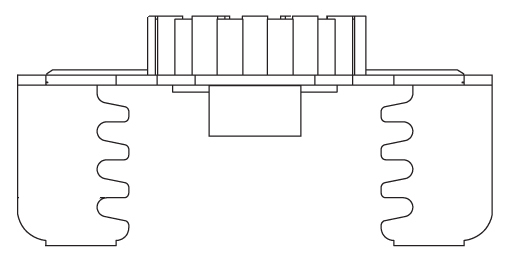 Clips and channels mechanically separate the walls from the building structure. 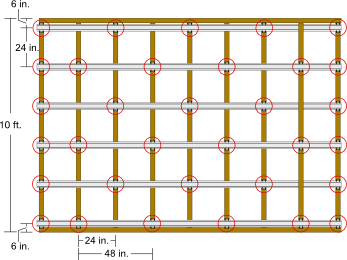 Separation prevents sound from traveling through the structure itself. A clip assembly combined with a Green Glue application gives superb soundproofing for high, mid, and low frequencies. The ultimate wall assembly utilizes two layers of Green Glue with a clip and channel assembly and acoustical sealant to seal any gaps. Use all available options to maximize the amount of noise reduction. Resilmount MBFR clips are resilient sound isolation clips for use in wall soundproofing applications where wall studs may be uneven. The notches in the MBFR clip allow extra tolerance in the placement of furring channel so that the resulting wall will be even and unbowed, despite any issues in the position of the wall studs. MBFR clips are an excellent solution for decoupling a wall from the building's frame, preventing sound from traveling from one room to another. This means that MBFR clips can be used with confidence in homes, sound studios, offices, theaters, or anywhere else that needs soundproofing. MBFR clips are not manufactured for use in ceilings. Width: 1 - 3/8 in. Height: 4 - 7/8 in. Depth: 1 - 7/16 in. • Make sure to leave a 1/4 in. gap between wall and celling and wall and floor to fill with acoustical caulk. 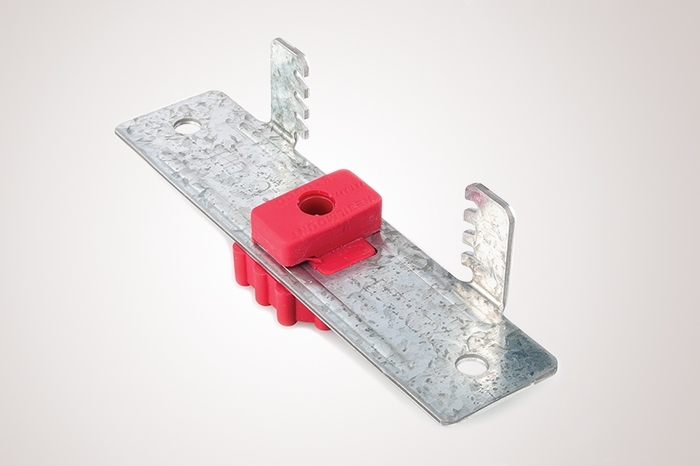 Measure for placement of Resilmount MBFR isolation clips using layout guidelines listed in the Installation Notes above.